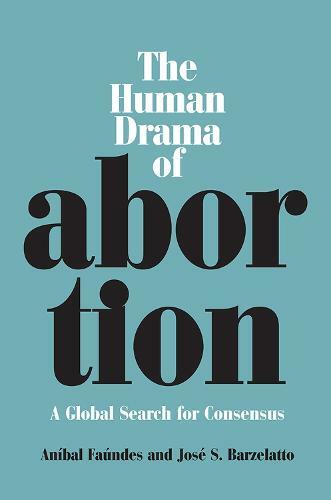 Deeply touched by the tragedies of botched abortions they witnessed as young physicians in Chile, in the 1970s and later around the world, the authors have attempted in their professional lives, and now in this book, to establish a framework for dialogue to replace the polarization that exists today. Doctors Faundes and Barzelatto use their decades of international work to document the personal experiences of different classes of women in different countries, and those countries' policies and practices. No other book provides such a comprehensive and reasoned examination of the entire topic of abortion, from the medical to the religious and ethical and from the psychological to the legal, in plain language understandable by non-specialists. The central thesis is that there are too many induced abortions in the world today, that most are preventable and should be prevented - a middle ground that both pro-life and pro-choice advocates can accept. The first part of the book reviews why women have abortions, as well as the magnitude and consequences. Other parts examine values, effective interventions, and what can be done to reach a necessary social consensus. The Portuguese edition of this book was issued at the very end of 2004. The Spanish edition, launched in mid-2005, is already in a second printing. The authors are making presentations at special events sponsored by universities, professional associations, and feminist networks in Argentina, Chile, Mexico, Peru, Uruguay, Colombia, the Dominican Republic, and the United States.
. . . although [the authors'] perspective on the topic may be liberal, their approach to it is practical. . . . Although the media portray views on abortion being very polarized, Faundes and Barzelatto argue that a broad area of middle ground exists. They posit that abortion should be safe and legal while efforts should be made to decrease its occurrence (e.g., contraceptive education) and to mitigate its impact on humanity (e.g., improving women's societal status). . . . highly recommended . . . In the heated atmosphere of abortion debates, this book is a coolly dispassionate account...Highly recommended.